Members of the BSMS coaching staff attended the 2017 WISTCA Conference in Madison, WI on Feb. 3rd and 4th. At this conference, coaches attended seminars discussing many topics throughout Track and Field. In addition, coaches had the opportunity to meet world-class Track and Field Olympians. 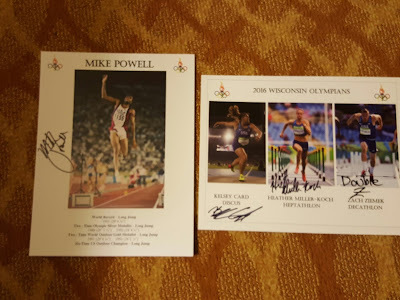 The Olympians included: Long Jump World Record Holder Mike Powell, Rio Olympian Kelsey Card (Discus), Rio Olympian Heather Miller- Koch (Heptathlon), and Rio Olympian Zach Ziemek(Decathlon).